Presidential hopeful Senator Lindsey Graham on the set of RURAL TOWN HALL. The following is a complete transcript of Sen. Lindsey Graham's appearance on RFD-TV's RURAL TOWN HALL hosted by RFD-TV's Mark Oppold. Mark Oppold: And from the beautiful Stine Family Barn in West Des Moines, Iowa, welcome to this Rural Town Hall meeting, produced by RFD-TV News and Mediacom. I'm Mark Oppold and for the next hour we will be spending time with just one candidate discussing issues of interest and concern to rural Americans, whether farmers, ranchers, or just folks who choose to live in the small towns that make up this great nation. The questions come in fact from a variety of interested parties, including most of the major organizations representing different sectors of agriculture. Some of the questions will be asked by members of our studio audience who have come to join us in Des Moines, Iowa today. The focus of our discussion indeed may be rural, and completely objective context, but this is also, we think, an opportunity. An opportunity to ensure better understanding, better communication between rural and urban Americans. We will start with key agricultural issues, extending to other topics such as rural healthcare, rural education, government regulation, much, much more. These are not debates, let's make that clear. These are conversations. That said, RFD-TV and Mediacom welcome our Town Hall guest, U.S. Senator from South Carolina, and republican candidate for the president of the United States. Let's welcome Senator Lindsey Graham. Lindsey Graham: Thank you. Thank you very much. Mark Oppold: Welcome. Good to have you here. Good to have you here. Lindsey Graham: Thank you everybody. Mark Oppold: Welcome to Iowa. Lindsey Graham: Yes, absolutely. I'm doing better than the deer, I know that. Glad to be with you. Mark Oppold: It's good to have you here. And I want to thank you on behalf of Mediacom and RFD-TV for accepting our invitation to come and spend an hour to talk about issues of rural America. Mark Oppold: And I want to also start at, we would be remiss. We at RFD-TV, and the folks at Mediacom, always take that time and the opportunity to thank our military men and women. So let's give Senator ... 33 years in the military. Just retired. Congratulations. Lindsay Graham: Thank you. Thanks very much. I get my first check in two weeks, so thank you all. Mark Oppold: Retired colonel. Before we get started, we want to take a look at a video that spotlights the Senator, produced by his campaign. Let's take a look. Video Narrator: Some men are born leaders, others are tested, refined, and forged through life's experiences. Lindsey Graham is both. Lindsey was born the son of a blue-collar family in the small town of Central in upstate South Carolina. His parents worked long hours to eke out a modest living, running a tiny restaurant and liquor store. From a young age, Lindsey learned about hard work and the value of a dollar. Like small business owners everywhere, if Lindsey's parents didn't open the doors each day, they didn't get paid. There were no sick days, and very few vacations. It was here that Lindsey learned to pull his own weight, both by helping with the business and helping raise his younger sister Darlene. Lindsey Graham was the first in his family to go to college, but while attending the University of South Carolina, both his parents tragically passed away. While most young men his age were enjoying campus life, Lindsey took on the added responsibility of traveling home weekends to work in the family business and help care for Darlene. With his parents gone, Lindsey was committed to providing for his sister. He took that commitment a step further by legally adopting her when she was in high school. And with the help of a loving aunt and uncle, Lindsey made sure she not only finished high school, but earned her college degree. Despite the challenges and adversity, the work ethic he learned from his parents paid off. Lindsey graduated from USC with both a bachelor and law degree. Following law school, Graham joined the Air Force. After six and a half years on active duty as a JAG officer, he joined the South Carolina Air National Guard and served stateside during the first Gulf War. Graham wore the uniform for 33 years, retiring this year as a colonel with the Air Force Reserves. First elected to the House of Representatives in 1994, and the Senate in 2002. Lindsey Graham has become the go-to guy on Capitol Hill for national security and foreign policy issues, in part because of his military experience. He has served as a reserved duty officer in Iraq and Afghanistan, and has been to the Middle East more than 20 times, gaining firsthand knowledge about ISIS, the Taliban, and other terror groups that threaten our way of life. Because of his expertise on foreign policy issues, Lindsey Graham has been an outspoken critic of President Obama's failed foreign policy. Lindsey Graham (Video): President Obama's policies are failing, and if we don't change this, and if we don't change our policies, it's only a matter of time until we get hit hard. Video Narrator: His knowledge and experience make him uniquely qualified to correct the mistakes of the past while providing the steady leadership and decision-making skills we need to keep America safe. A respected problem solver, Lindsey Graham is a true conservative who's willing to tackle any issue head on, whether it's fighting for the American taxpayer or protecting and defending our constitutional rights. Blue-collar upbringing, tireless work ethic, allegiance to family values, and a lifetime of military service, Lindsey Graham has lived the American dream. From sleeping in the back room of the tiny restaurant to becoming a respected leader in the United States Senate. Now he is ready to take those leadership skills to the White House to restore faith in America's exceptionalism, and our belief that the United States is still the leader and the best hope for a free and safe world. Mark Oppold: Senator Lindsey Graham our guest here on this edition of Rural Town Hall. And what we just saw Senator, anything you'd like to add before we begin our question and answer session, as relates to rural America, and the folks gathered here, and those watching? Lindsey Graham: Well send money. Help me to put it on the TV. No, I grew up in a small town, about 1,500 folks. We owned a liquor store, a restaurant, and a poolroom. So I'm qualified to be president. We used a lot of corn products in a different way, but, you know, the story is what the story is. We lived in the back of the poolroom, and restaurant, and bar until I was in high school. If you own your own business, I guess if you're informing, just the same. If you don't get up every day and go to work, you don't get paid. When I was 21, my mom passed away, she had Hodgkin's disease. We got wiped out because we were underinsured, probably like a lot of farm families. 15 months later my dad passes. So I'm 22, my sister's 13. If it had not been for my aunt and uncle who worked in the textile plants, who never made over $25,000 in their life, we couldn't have made it. A Social Security survivor benefits check went to Darlene for my parent's contribution. I don't need a lecture about healthcare or Social Security. I know why these programs are important to rural America, and to every other American. I'm 60 years old and have led a life that I could only have dreamed of, in the back of a liquor store. It's been a real honor to represent the people of South Carolina, and serve in the Air Force for 33 years. Would I give up some of my Social Security benefits to save it for others? You better believe I would. You know, I've got a 401K plan, I've got a military retirement, and I’ll have a congressional retirement. I would give up some to make sure Social Security is there for the next generation. Particularly people who live in rural America. 50% of today's seniors would be in poverty without a Social Security check. So if you make me your president, we're going to solve some problems. I'm tired of yelling at each other. America's not about yelling at each other. We're all in this together. So thank you for having me. Mark Oppold: Alright. And that being said, we want to start with that next generation, you might say. Something very important, a group very important to RFD-TV and Mediacom, our friends from the FFA Foundation. Welcome. Lindsey Graham: Yea! Sorry about Social Security. Abrah Meyer (FFA): Hello Senator Graham. My name is Abrah Meyer, and I am the past state president here from the Iowa FFA Association. FFA and agricultural education are key to helping today's students discover their careers in the future. But agricultural education programs often face getting cut due to funding issues. What would you propose could be done to end the loss of these valuable, hands-on education programs? Lindsey Graham: Great question. Do you all understand that we're going to become Greece pretty soon if we don't change our ways? Now, what makes us become Greece? You talk about agricultural education, you talk about helping farmers with technology, talking about Iowa, Iowa State, Clemson University, other land grant colleges that rely upon government grants to improve agriculture to feed us all. All worthy. The agriculture budget is just a rounding area of the federal budget. But what I would tell you young lady is that if people of my generation don't get our act together, we're going to pass on to you more debt than can every possibly pay off. Let me tell you why. 80 million baby boomers, of which I am one, is going to retire in the next 20 to 25 years. We're going to be down to two workers for every retiree. In 1950, we had 16. By 2031, all the money you send us in Washington in taxes goes to Medicare, Social Security, Medicaid, and interest on the debt. So here's what I promise you. I'm going to bring us together like Ronald Reagan did with Tip O'Neill, and solve these problems before it's too late. That means democrats and republicans have to give a little bit. I'm going to ask you to work a little bit longer, because we all live so much longer, because of this good food you grow. And I'm going to ask people on my income level, I make $175,00 a year, to give up some benefits to make sure the system doesn't collapse. There is no way to save your generation from losing the American dream I've enjoyed unless we deal with the growth of entitlements. Two-thirds of the federal government is on autopilot. It's not the farm budget, it's not the defense budget. If we don't reform entitlements, flatten out the tax code, and take some money we give away in deductions to pay down some debt, our best days are behind us. So when we get that right, when we do the big thing, I promise you that investing in agricultural education, research and technology is the best thing that could happen to America, and the world at large. Look how far we've come in the last 50 years in terms of productivity. That came from investment. But I'll tell you this young lady, there will be no money to invest in anything if we don't deal with what drives the debt, and that's the retirement of my baby boom generation. I promise you we will, if I'm your president. Abrah Meyer (FFA): Thank you Senator Graham. Mark Oppold: Thank you for that question. Leading off, FFA, a great organization as you know. Lindsey Graham: Yeah, right here in Iowa. Mark Oppold: The next question in fact dub tails right into some of your comments. It's from our friends at AARP. Tony Volay (AARP): Senator Graham, Tony Volay, AARP, and you've already approached the subject, but I'm going to make you go just a little bit farther if you will please. As you mentioned, we know that rural America is more dependent on income from Social Security than our cities. What is your plan, specifically, to address Social Security's financial shortfall? And what place does it currently occupy on your to-do list when you become president? Lindsey Graham: Senator Lindsey Graham: The first thing on my to-do list is to go after the terrorists before they come back here. Rebuild our military, because that's the first obligation in general of the federal government. Being a commander and chief worthy of the sacrifice of the 1% that have been fighting this war for a decade, including the Iowa National Guard, who've deployed over 17,000 people to Iraq and Afghanistan. So to rebuild the military in decline. Have you heard of Simpson-Bowles? Well what it is, is a bipartisan proposal to save Social Security Medicare from bankruptcy. Ronald Reagan and Tip O'Neill, in 1983, adjusted the age of retirement of Social Security from 65 to 67. They did some other things to save it for 35 years. What would I do, sir? Anything to save Social Security. Here's my proposal. Younger people are going to have to work a little bit longer because we all live longer before you enter into Social Security. When it comes to people at my income level, we'll have to give up some of our money to make sure it's there for the people in rural America. My aunt, my uncle, people like I grew up with, they need the money more than I do. We need people at my income level to give up a few hundred bucks a month to make sure that the money is there for those who need it the most. If we'll do these things now, we'll save Social Security. Because when the baby boomers get through the system, we're good to go. We've got to get 80 million of us through Medicare and Social Security. That means some of us who can afford to, are going to have give up some promised benefits, and younger people will have to work a little bit longer. Because Social Security is worth saving. I've been on both ends of the stick. I've been at a time in my life where every penny meant the world to my family. I'm at a point now where I could give a little bit up, and I would. And there's no way to save Social Security without bipartisanship. There's no way to grow your way out of this mess, or cut your way out of this mess. We have to do what Ronald Reagan did with Tip O'Neill, work together. I'll be Ronald Reagan if you can find me a democratic Tip O'Neill. Tony Volay (AARP): Thank you sir. Mark Oppold: Thank you AARP for that. Lindsey Graham: Yeah, we love the AARP. Mark Oppold: And our next comment comes from our friends at Animal Ag Alliance, Senator. Go ahead. Casey Wittek (Animal Ag Alliance): Hello. I'm Casey Wittek from Animal Ag Alliance. Lindsey Graham: Are you representing the animals? Casey Wittek (Animal Ag Alliance): Yes. Casey Wittek (Animal Ag Alliance): What is your view on the need for the federal regulation of on farm animal welfare? And what changes, if any, would you implement, and what would their impacts be? On the community in general, and also on farmers in particular. Lindsey Graham: Well let's look at where we're headed in terms of regulating the family farm. You can't build a fence over a ditch that's got water in it. You know, you can't ride in the back of a truck. We're going too far. Nobody wants to be cruel to animals, but at the end of the day, this government has gotten so large and so oppressive, it's pretty hard to run a business. Particularly the family farm. So the first thing I would do, is I would fire the people in charge today and replace them with somebody that's actually been on a farm. Casey Wittek (Animal Ag Alliance): Thank you. Mark Oppold: Very good. Senator, we have a question that comes from South Carolina, as a matter of fact. Their Farm Bureau sent this in, and I'm asking it on their behalf. Would you sign an executive order, in your first 100 days in office, to ease some of the regulations within the H-2A guest worker program that are impacting farming order of operations? Lindsey Graham: Yes, but I'd do more than that because that's not the solution. I'd fix a broken immigration system. Let's talk about immigration. Okay? We're down to two workers in the next 20 years to 25 years, for every retiree. That's a problem for Social Security. You've got fewer people paying in, right? You've got more people taking out who live longer. Well where do you get the workers in the future? You know, Strom Thurmond had four kids after he was 67. Do I have any volunteers? One guy raised his hand, but he didn't understand the question. So, we're going to need a robust immigration system that's legal. The H-2A program has limits on it. You have to provide housing, it's a very expensive program. I would reform it. The senate bill that passed did reform the H-2A program. It basically sunset it after two years, and increased the visas you could have available to the agricultural community. And here's the secret. As the American workforce declines, my goal as your president is to find workers who would come here, temporarily, benefit them and their families, and help us too. Because I don't want farmers to leave this country because they can't find workers. Any farmers here? It's pretty hard to find workers folks. You ever been to a meat packing plant? Most of them are Hispanic. Now let me tell you, to my friends in the Republican Party, we're not going to fix this system by yelling about it. To those who think we need to limit legal immigration, what movie are you looking at? Where do the workers come from in agriculture, and other areas of our economy? I'm in South Carolina, big tourism industry. We're having a hard time finding service workers. When the PGA came to Kiawah Island and Charleston I had to go back to get 600 Jamaican maids to come in here to service the tournament. So not only would I reform the H-2A program, I would create a brand new immigration system based on merit. As to the 11 million, once we secure our border, increase legal immigration and control who gets a job. Non-crooks can stay. Felons are not welcome. They can go into agriculture if they like. But I'd create guest worker program more robust than we have today, where people could come here for three years and work, make money, and go back home and have somebody else come to supplement our economy. To those who yell about immigration, you've obviously never run a farm. We need workers in the future, and I'll make sure the workers come here legally. And they can meet the IRS like the rest of us. Mark Oppold: Very good. Thank you Senator Graham from South Carolina. Don't go anywhere. We're just getting a good start. We've dealt with some very important issues, needless to say, our first few minutes. When we come back, questions on topics including things like infrastructure, Internet regulations, and rural healthcare. Back with more Rural Town Hall with U.S. Senator and republican presidential candidate, Lindsey Graham, right after this. And welcome back to Rural Town Hall on RFD-TV. I'm Mark Oppold. Thank you so much for joining us. We are joined by South Carolina Senator, Lindsey Graham, who's seeking the republican nomination to be our next president. Giving the Senator an opportunity to address some issues that are important to you, paramount to America's farmers, and ranchers, and all folks who just choose to live in rural America and the rural lifestyle. We've addressed some very important issues already. Moving on to another topic here. Senator are you ready to keep going? Lindsey Graham: I am ready. Let's go. Absolutely. Mark Oppold: Alright. Let's have our next, from our friends at Mediacom, welcome. Jeff Angelo (Mediacom): Hi Senator. Jeff Angelo of Mediacom. Earlier this year, the Federal Communications Commission announced plans to regulate the Internet, using rules created in the 1930's to regulate telephone companies. I was wondering what your view was of that action? Lindsey Graham: A dumb idea. I'm against it. Thank you. Jeff Angelo (Mediacom): Thank you. Mark Oppold: Alright. How about that? Alright. Lindsey Graham: You said speed it up, so we're speeding it up. Mark Oppold: We have friends with many, many organizations that wanted to come and ask a question. One of those, the American Soybean Association. Welcome. Wayne Fredericks (Soybean Association): Welcome Senator. My name is Wayne Fredericks, and I'm a farmer from northern Iowa. I'm pleased to be here and represent my fellow soybean farmers in the American Soybean Association. As you are well aware, from your many years of service in our house and senate, of the issues we have with rural infrastructure. With American infrastructure. Our roads, our bridges, our locks, and dams. In many cities their sewers and their water systems, and so forth, are crumbling. If you were elected president, what is your proposal for, your methodology to fund the necessary infrastructure improvements we need in this country? Lindsey Graham: Okay, there's two questions in a question. There's the Mississippi River, which is being clogged up. That's how you get most of your products from Iowa out to the world, right? Lindsey Graham: Okay. So working with Lamar Alexander, Diane Feinstein, and Barbara Boxer, which is, trust me, an odd couple, we've come up with money. We've increased diesel taxes for those who go up and down the river, and they wanted to pay more as long as we'd spend it on locks, and dams, and ports. We've got one lock, the Olmstead Lock, that's taken all the money out of the system. So your inland port infrastructure is falling apart, so I increased diesel taxes on people who use it. They're willing to do it. That will help some. We've got to dredge the Mississippi River because it's clogging up. Then you've got east and west coast ports. On the east coast, Charleston, South Carolina, the Panama Canal is expanding dramatically in terms of panamax ships. The ships of the future are going to be about three or four times the size they are today, and they're going to need ports to park in. So we've got to get our ports to 50 feet to service those ships on the east coast. The west coast has a portside capacity problem. They don't have enough rail lines or roads to get things off the ships, into the United States, from in the United States to other places. China is building ports in the Caribbean. I really worry about China, you know, hurting our market. Now as to the roads and bridges, the highway trust fund is $168 billion short of money. You just raised gasoline taxes here in Iowa. Isn't that right? Wayne Fredericks (Soybean Association): Yes. Lindsey Graham: Okay. Well, why is the trust fund so short on money? People drive further on a gallon of gas, and there are more hybrid cars on the road. So I want to reform the trust fund. One, leave all the money there for roads and bridges. There's $3 trillion of corporate earnings parked overseas by American-held companies that make money overseas, headquartered here. They're not going to bring that money back in the United States and pay a 35% tax on it. They've already paid taxes, let's say in Germany. We're one of two countries that require a 35% tax rate to bring the money back into the United States. Let's give a one time good deal of 8 or 10%, put that money in the highway trust fund. But we've got to redesign the trust fund. I will reform it before I add revenue. Limit the money for the purpose collected. Charge hybrid vehicles a fee to drive on the roads that we all use. See where that takes us, and if we need to look at raising the gas taxes to keep the trust fund viable, we'll look at it, but only after we reform it. But our port infrastructure, coastal and inland, is literally falling apart. Wayne Fredericks (Soybean Association): Thank you. Mark Oppold: Thank you for the question. I have a follow-up on that. Some of the producers have talked about their railcar shortage, and when the railcars were available, dockworkers were an issue, on the west coast I'm talking about especially. Address that part that's uncontrollable by the, to the American farmer, and to the transportation industry, in part. Lindsey Graham: The docks right in the Los Angeles, and in that area, cost Shell a ton of money. If you can't get your product to the market, it will spoil. If you can't get your product to the market, somebody else will buy it. You don't have to worry about unions in South Carolina. We're a pretty pro-business state. But at the end of the day, the port infrastructure in this country is deteriorating. China is spending a ton of money on ports all around us. So if you want America to be capable of exporting products grown here in Iowa, you've got to get it to the world at large. If you're going down the Mississippi River, let's modernize the Mississippi River. If you're coming to Charleston, $4 billion of BMW cars, made in Greenville, South Carolina, being sold all over the world. They go through the port of Charleston. If we don't modernize our ports, we're going to lose market share. One of the purposes of my presidency would be to improve infrastructure and create export and import opportunities for this country. This is a neglected area. Chuck Grassley and Joni Ernst have been great on this issue. Mark Oppold: Very good. CropLife America, our next guest. Welcome. Sarah Doese (CropLife America): Well hello Senator. Welcome to Iowa, we're happy to have you. My name is Sarah Doese, and I am the government relation’s intern for CropLife America, as well as a senior at Iowa State University, majoring in agricultural education. My question centers around health. So, if you were elected president, what would your administration’s role be in food initiatives that promote health, without taking a person's right to choose what he or she eats? Such as soda bans in cities and school lunches. Lindsey Graham: Yeah food labeling, number one, if we're going to do that, we're going to do that nationwide. This war against GMOs is starving Africa. What would I do? I would not become the nanny state. You know, we're going to give people good information about nutrition. We have the most affordable, safe, abundant food supply in the world. Let's keep it the way it is. But this micromanaging from the federal level of what products we buy, and telling people what to eat, is going too far in my view. But let's get back to GMOs. Mr. Borlaug, is that his name? Lindsey Graham: That guy is like a legend around here. I've been to Africa a bunch. The continent of Africa is the prize of the 21st century. The French, and the Germans, and the European nations are restricting GMOs that we develop here, to be sold to the African farming community, to double, quadruple, tenfold their yields. We're literally starving the farmers in Africa for no good reason. The time it takes to extend existing GMOs is, on average, four years. The time it takes to get a new scientific product to the market is seven to eight years. Your governor is really worried about this. So what would I do as president? I would improve the approval process. We want safe products out there, but the nanny state is creeping in, and we need to end it now. GMO fight is, I think, the fight. There's an effort by some people on the left to basically knock you all guys out of business. And look at how much more productive farms are today, versus 20, 30, 40, or 50 years ago. This anti-science movement has to stop. Sarah Doese (CropLife America): Thank you. Mark Oppold: We could spend a whole hour on that topic. I want to just follow-up on that, as it relates to everyone sitting here who has a vested interest in GMOs and the conversation goes from here. How does a president dictate where the conversation goes? Lindsey Graham: Well number one, you have somebody in the regulatory system that would approve a product in a safe fashion, faster. There's the agenda out there folks. This labeling agenda, we bit it back big time. Chuck and Joni have been great on this. There is an effort by the Europeans to deny Africa farmers modern technology. A drought-resistant seed. It really is a disgrace what we're doing to Africa because our European friends will not allow science to flow into Africa, because they have monopolies. What would I do as president? I'd call the Europeans together and say, "We're going to knock this off." What would I do in my administration? We'd have a scientific-based approval process, not a politically based approval process, so we could actually feed the world. Mark Oppold: Senator Lindsey Graham joining us for this edition of our Rural Town Hall, and our next question comes from our friends at National Rural Health Association. Lindsey Graham: You've all got a lot of associations in Iowa. Mark Oppold: Well this is national. They sent this in, I'm asking in their behalf. Studies you've touched on this Senator, studies show that many rural Americans tend to be older, less healthy, or financially secure and relying on government healthcare programs. What should the federal government's role be in providing access to healthcare for these vulnerable, rural Americans? Lindsey Graham: Now what drives America's debt is entitlement spending, Medicare, Social Security, Medicaid. I've told you what happens to us as a nation if we don't reform these programs. They're worth saving. You're going to have to get democrats and republicans together. But access to healthcare. There're two ways you can do this. There's healthcare from 65 and beyond, it's called Medicare. At a certain income level, you're entitled to Medicaid. Obama Care, I think, is going to destroy access to rural healthcare. Let me tell you why. Rural hospitals, most of their income comes from Medicare and Medicaid. The largest customer of almost every rural hospital is the federal government who's broke. If we put the private sector under the government umbrella, you're going to have a single pair health system that's going to degrade quality and choice, and increase budget pressure. This effort of Obama Care is to get private sector employers to drop healthcare, and put them in exchanges operated by the state and federal government that are government monopolies. What would I do on healthcare for rural America? Make sure that the private sectors still in the game, creating a revenue source outside of Medicare and Medicaid. We're going to have to reduce our spending on Medicare and Medicaid, not increase it. We're going to have to reform these systems. So how could a hospital make up the revenue loss? By creating competition in healthcare. If you smoke, you should pay more. Outcomes are important. So what would I do for healthcare? The VA is an example of a monopoly. How many of you would like to see veterans to have more choices than they do today? The reason they have to wait so long is because they've got a single payer. What I would do with veterans is give them a card so they could go anywhere they want to, to get the healthcare they need. If the VA didn't deliver, they'd go out of business. What would I do as president? I would take Obama Care and replace it with a private sector competitive model that delivers quality and access in every other area of the world, including healthcare. The biggest loser under Obama Care is going to be rural healthcare. Mark Oppold: And we heard earlier, in fact our first question, from the friends at FFA. We have our friends from another great big, a growing organization to say, our 4Hers. And the National 4H Council. Welcome. Ally Babcock (4H): Hi there. I'm Ally Babcock, and this is Arlene Valenzuela, and we're representatives from the Iowa 4-H.
Arlene Valenzuela (4H): In 1902 4-H was created, and it helps nearly 6 million people throughout the country. The organization strives in girls, and serves millions more, throughout the rural, suburban, and urban America. Would you, as president, support this effort and the help of your administration? Lindsey Graham: I am deaf in my left ear sweetheart. Can you repeat the question? Mark Oppold: I sure can. 1902, 4-H was created to help 6 million young people throughout the country. The organization strives to grow and serve more through urban America. As president, how would you help this effort in urban areas expand 4-H? Lindsey Graham: I can't promise you I'm going to give money to the 4-H and urban areas until we get out of debt. I can't promise you a bunch of things until we get our country in a better spot. The fact that you're trying to move into urban areas is probably good for the farmer. I'm a consumer. Most of us enjoy abundant food at affordable prices, safe, and we take for granted what all you all in Iowa and other places do. So the fact that you get into the urban community and kind of educate people about quality food and good health is a good thing, but I can't promise you as president of the United States I'm going to put money into this program until I get us out of debt. Mark Oppold: Thank you very much for being here 4H. And with that, we take another break here. Senator Lindsey Graham joining us. We've covered some very important topics so far. More to come still, so stay with us. Senator Graham with us. Topics including energy, alternative energy, rural America, and our Rural Town Hall continues right after this. 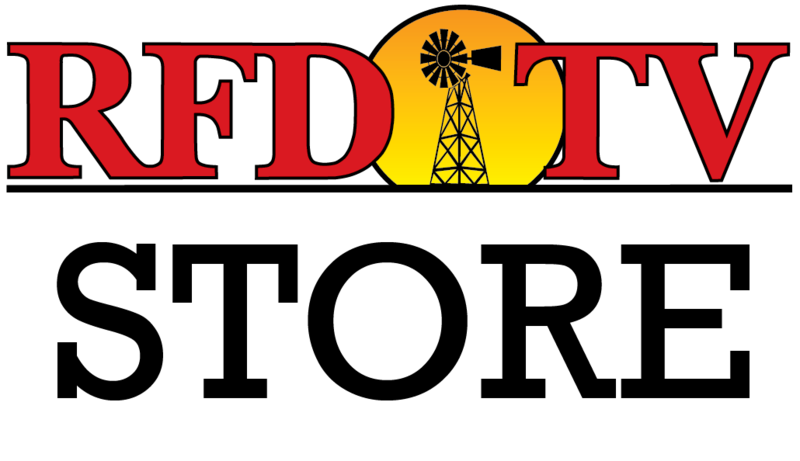 Welcome back to Rural Town Hall on RFD-TV. I'm Mark Oppold. Thank you so much for joining us. Talking to U.S. Senator Lindsey Graham from South Carolina. Topics important to you, and rural America, and those of you who just enjoy the rural lifestyle. Senator, how's things going so far? Lindsey Graham: Good! I'm enjoying the rural lifestyle. I'm going to go have a steak when this is over. We're the cattle people. Mark Oppold: The folks in Iowa would say you're welcome any time, and stay as long as you want. Renewable fuel, as our America's renewable future is our next, have our next question. And welcome to you as well. Katie Barron (America's Renewable Future): Thank you. Hello, Senator. My name is Katie Barron. I am with Growth Energy and America's Renewable Future. My question for you is that, while some candidates in the republican field have been unsupportive of the renewable fuel standard, you have stood with Iowans and the rest of rural America by supporting it. What can you say about your support, and why should other candidates see this as a crucial policy as well? Lindsey Graham: Well thank you, and one, Renewable Fuel never looked better by the way. So let me just say this. I don't think you get the big picture if you don't understand what we're trying to do in America. We're trying to diversify our energy production, to break our dependency on foreign fossil fuels. What would the world be like if Putin had no gas? What would the world be like if our Mideast folks, we didn't have to buy gas from people who hate our guts? Oil. So every barrel of ethanol product you can produce here in Iowa is one less barrel to buy from somebody who hates us. Why am I into this? The best thing you could do for your next president is to give us a better hand when it comes to energy. I want to find more natural gas, and export it to undercut Putin's monopoly. You produced enough ethanol to create fuel products to displace the entire amount we bought from Saudi Arabia. If you can grow it in America, if the sun shines on it in America, if the wind blows it in America, if it's under American soil, let's find it. Let's dedicate ourselves as a nation to become energy independent. The subsidy is gone, the mandate exists. I'll follow Chick and Joni's lead on this, and I can say this to anybody in America. Investing in alternative energy made in America makes us safer from a national-security perspective. Mark Oppold: And you are in the tall corn state. Lindsey Graham: I am in the tall corn state. A short guy in tall corn state. Mark Oppold: American Agri-Women have joined us today, Senator. And welcome. Audience (American Agri-Women): Thank you very much, and thank you so much Senator for coming to this great state of Iowa. We appreciate your views. I'm with American Agri-Women, and I'm also a farmer here in Iowa. Tell me what your views are on coal and other fossil fuel based energy that we do find here in America. Lindsey Graham: All of the above. We have about 250 years of coal. Let's use it. You know, I do believe that the climate is changing from CO2 emissions created by man. Look at all the cars, and trucks, and all the stuff we burn. To think it doesn't have some effect, to me, really is denying pretty solid signs. But I'm not making this a religion. We have coal. Let's use it. Let's make it cleaner. We have natural gas. Let's find it. Let's export it where we can. We have oil off the coast of South Carolina, North Carolina, or Virginia, and other places. Georgia. Let's go out there and find it, if the state will agree. When it comes to energy, I'm an all of the above guy. The French have about 70% of their power comes from nuclear power. Surely we can be as bold as the French. We have about 20%. I want to build more nuclear power plants. I want to use the coal we have, find the gas we own, develop the oil resources that we have an abundance. I'd build the pipeline from Canada because buying oil from Canada is like buying it from your cousin. We'll get most of our money back in trade. If we don't buy it from Canada, they're going to sell it to China. So I believe in a strong, safe, sound environment, but not to the expense of a strong, safe, sound economy. Fossil fuels will be with us for a long time to come. When we own it, let's find it. Let's buy it from people who like us, not hate us. Audience (American Agri-Women): Thank you so much. Mark Oppold: Thanks for the question. And you've driven across Iowa long enough to know there's lots of wind power being developed already in Iowa, and more as well. So another area of energy. Lindsey Graham: You all are really into wind power. Mark Oppold: Yeah. And we're going to go right into the continuing on the energy, I would guess here, from the National Rural Electric Cooperative Association. We welcome them as well. Lindsey Graham: I used to be the lawyer for the co-ops. Bob Kolling (Rural Electric Cooperative): Well good. We can use you still. But we'll use you in the White House. Alright. Mr. Senator Graham, I'm Bob Kolling, I work with the Rural Electric Cooperative CEO GM down here, and the lower income part of the state. So my question to you is, will you continue to support the rural utility services, and then maintain the low interest financing for the electric services that is affordable for the people in Iowa, and around this country? Lindsey Graham: Just ask the rural co-ops in South Carolina about Lindsey Graham. It's the 75th anniversary of rural co-ops. At the end of the day, it's allowed rural America affordable power to grow our economy. So not one default. The American taxpayer has been well served. Rural America has been well served. Even though as 2015, to think that investor on utilities will go to the places that you have in Iowa, and I have in South Carolina, just not going to happen. I believe in rural co-ops deeply. I literally was their lawyer in my home county. I understand the issues. There was a move by some people running for president to eliminate this because it's not the proper role of government. Let me tell you the proper role of government. It's to help its people. To lend money to people who pay it back. To develop rural America, that would never get developed based on an investor-owned model, in the utility area and the telephone area. Look how life has changed in the last 75 years. Many of you here, parents and grandparents, grew up without electricity. The rural co-ops are as important today as they were in the past because rural America is going to get left behind if we don't nurture it. Thank you. Bob Kolling (Rural Electric Cooperative): Thank you. Mark Oppold: And with that, we still have more territory to cover. Questions with our audience still coming on this edition of our Rural Town Hall. We ask Senator Graham about his stand on trade and Ag policies, coming up. You're watching Rural Town Hall on RFD-TV. Be right back. We welcome you back to this edition of our Rural Town Hall on RFD-TV. I'm Mark Oppold, and we're visiting with Senator Lindsey Graham of South Carolina about issues important to you in rural America, farmers, ranchers, or people who just like that rural lifestyle. And on to our next topic. This is the American Farm Bureau Federation joining us today, Senator. Go ahead please. Joe Hendrick (Farm Bureau Federation): Good evening. Thank you for your time tonight, Senator. I'm Joe Hendrick, and I'm representing American Farm Bureau. I'm a cattle and crop farmer from eastern Iowa. When you said earlier about enjoying that steak, you'll get the best in the country because it's going to be an Iowa steak tonight. Lindsey Graham: That's what Judge Cratsley says. Joe Hendrick (Farm Bureau Federation): I agree with the Senator. We'd like to talk to you about trade tonight. As president, would you be in an aggressive supporter for fair trade? And would you be willing to go after those countries, and leaders, that seem to keep putting obstacles in front of us to make sure we have fair trade? Lindsey Graham: Yeah. Number one, Senator Grassley, I made a joke, he's the cheapest guy I've ever met, and he gives cheap a bad name. He is physically frugal. I'm glad a farmer's in charge of the lawyers, by the way. He did us a great service by sending Chuck and Joni. It's awesome. We're negotiating with 12 countries, the Trans-Pacific Partnership Agreement. China's not included. But we're being walked all over when it comes to trade. China just devalued their currency, called the Yuan. The lower the value of their currency, the cheaper the products made in China, that are costing us jobs here in America, on the manufacturing side. Port producers. If Japan shuts us out, it's not a good deal. You can't have it both ways. Monopolies of our competitors protecting farms, farmers over there at our expense, can't happen. This Trans-Pacific Partnership Agreement might be a good deal, it might not. But what's hanging it up right now are autos and agriculture. To be your president, and to serve you well, I have to fight for your interests. We're giving away too much. People cheat us out of market share, they don't outwork us. If they outwork us, we've got nobody to blame but ourselves. But if they close their markets, and we open ours, that's not trade, that's just being a chump. Joe Hendrick (Farm Bureau Federation): Thank you. Mark Oppold: What about fast track authority? Lindsey Graham: We did it for every other president, I'm willing to do it for this president. That doesn't mean we're going to approve the agreement, but you know, President Obama and I don't hang out a lot together. I don't think he represents rural America as well as I could, but at the end of the day he is the President of the United States. If we get a Trans-Pacific Partnership Agreement, let's bring it up, look at it, and vote on it. But your two Senators here in Iowa, when they speak, people listen. I hope you understand that. When they speak, people listen. Mark Oppold: Agri-Pulse Communications has our next question. Sara Wyant (Agri-Pulse): Hi Senator Graham. My name is Sara Wyant. I grew up on a farm in eastern Iowa. My family still farms here, but I'm representing my company, as editor of Agri-Pulse. My question deals with the Farm Bill. As you know, in the 2014 Farm Bill deliberations, there were several conservatives in the House who wanted to split the food from the farm portion of the Farm Bill. I'd like to know your thoughts on, first, whether that was a good idea, and secondly, if we have the next Farm Bill in the works, what kinds of coalitions need to come together in order to ensure passage? Lindsey Graham: Well farm politics is the most unusual politics I've ever seen. It's, you know, the southeast versus the middle of America. But there is a political divide here. The entitlement program is where a lot of our money is spent. In the Farm Bill, welfare, you know, providing food stamps. The food stamp program has been abused. The reason we couldn't do more and split it in two is because you need democrats to vote for the Farm Bill, because some republicans cannot bring themselves to vote for a Farm Bill, because it's not ideologically pure. There is government involvement in farming, right? Well clear to me, they've never run a farm. You can get wiped out from one year to the next. A crop insurance program makes sense for the consuming public at large. So the reason we'll never divide these two, and you can look at the food stamp program which we save $16 billion by the way, they're always going to have to be together. Because there are people in my party that are never going to vote for a Farm Bill. And when that happens, that means you've got to get a democrat to replace a republican, or we don't have a Farm Bill. And if you don't have a Farm Bill, you're shooting yourself in the foot. Everybody likes to complain about the farmer until they go eat. Mark Oppold: Thank you for the question. If you want a good steak, I would think the Iowa Cattlemen's Association will be a good place to go, and they are our next guest. Isaiah Shnurman (Cattlemen's Association): Good evening Senator Graham. Isaiah Shnurman, Iowa Cattlemen's Association. In light of the recent Lotus rule, how will you ensure the government regulations protect, instead of threaten, individual private property management, and ownership rights? Lindsey Graham: Well, at the end of the day folks, the president picks people to run the government. They pick people to run the EPA. They pick people who run the Department of Labor, Department of Agriculture. You're not going to change the way Washington works until you change the philosophy that exists today. The philosophy today is that big business is the enemy. Business in general has to be regulated, because if you don't have the government come in and tell everybody what to do, it won't be fair. So I can't promise you any relief until we get a new president. The EPA regulation on carbon is going to drive up power cost all over this country, putting manufacturing at risk. Putting farming at risk, because part of the deal is power cost. We can maybe repeal the regulation about majority vote, but we're not going to get 67 votes. So what I want the American people to understand is that who you vote for president really does matter. How did Obama win Iowa twice? Rural America, you need to show up more. You need to get out and vote. We've got an association for everything here. I hope the association members realize that you get a chance to pick the President of the United States. Pick wisely. Mark Oppold: We have time for one more question, and this comes from the National Rural Education Association. Rightfully we started with our friends from FFA, and from your perspective, what are the unique challenges facing America's rural schools, Senator? And how would you address those challenges? Lindsey Graham: Well usually they're funding challenges because state budgets have been under siege. You know, the economy has been just limping along. But what I would do for rural schools that are poor, and urban poor schools, is be a better partner at the federal government. Local government should control schoolhouses, and what goes on in that schoolhouse. But if you're sending your kid to a failing school year after year, and you're frustrated, whether you live in rural America or urban America, as president I'd like to help you find a new model. Monopolies are bad, people. Folks, they're bad. They're bad for healthcare, they're bad for education. So let's open up education to competition. If you've got a low performing school in Iowa or South Carolina, let's put on the table a charter school to replace it. Let's give parents and teachers choices they don't have today. But realize this, that education reform has to come from the local level, not the federal level. I'd try to be a better partner in helping reform education. And if we don't, we're going to be left behind. This is where the Internet access becomes very important. This is where having high, you know, high-band, high-speed technology, Internet technology... The greatest minds in the world, no matter where they exist, can come to rural Iowa and South Carolina, only if you have the infrastructure to do it. That is a proper role of the federal government. Mark Oppold: Senator, thank you for being with us today. Mark Oppold: We appreciate it very much for your time, for this hour to spend and answer questions important to all those who have gathered here. Again, republican presidential candidate, Lindsey Graham has been our guest. And as we wrap things up, we thank you for being here. And thanks to our friends from Mediacom as well, and especially those folks here from the Stine family who have provided this great location for us to provide this hour to you as well. Thanks for joining us again. Remember, you do have a vote. If you haven't registered, please do so, and use that right in the upcoming election. I'm Mark Oppold, thanks for joining us, and goodbye from Des Moines, Iowa.